When I first heard about the Urbini Omni 3-in-1 Travel System back in March I couldn’t wait to get my hands on it! My very first impression was “yes, finally a chic looking affordable travel system that offers tons of features that parents want”! Finally they were in stock in June and I couldn’t wait to order my Urbini Omni 3-in-1 Travel System. This Travel System offers lots of features that are perfect for all families. Included in the Urbini Omni 3-in-1 Travel System Stroller is a detachable Petal Infant Car Seat. Babies up to the age of six months will enjoy the built-in bassinet. Toddlers can ride forward or parent facing in the convertible stroller seat. Since we still don’t know the gender of baby number 4 I decided to go with the all back travel system. All of the colors are beautiful but I knew if my husband was pushing the stroller around he wouldn’t want anything too bright. So black it was! Shipping from walmart.com was actually much faster than I expected! and everything was packaged neatly into one box. Assembly took all of two minutes to snap on the wheels to the stroller frame. No extra wheel poles to attach or clips. It was extremely easy. I noticed right away that the wheels are hard and don’t require air which is nice because I don’t have to worry about a popped tire. And with four kids that is the last thing I want to worry about. I was already familiar with how the bassinet/seat works as I have played around with similar strollers with that feature and I absolutely love it. I love that the baby carriage can be facing parent or facing forward. The toddler seat also has the same feature (obviously) and the bassinet turns into the toddler seat with a pus of a button (it’s located at the head of the bassinet/seat). There are two snaps underneath the bassinet that must be snapped together to create the toddler seat. The included canopy attaches to the bassinet/toddler seat and not to the frame of the stroller. This actually took me a while to figure out as I had not attached the bassinet/seat to the stroller frame yet. Folding the frame does take two hands as the clasps to close the frame are on either side of the stroller at the base of the handle. But it does fold completely flat which makes storing it easy, and it doesn’t take up a ton of space. I like that the infant car seat is lightweight. It weighs less than eight pounds which is nice because once you put a sixteen pound baby in the car seat it gets heavy fast! The base of the car seat is easy to install in your car and has two positions and a level indicator to let parents know the car seat is installed properly. I really like that the Infant car seat has been rigorously crash and side-impact tested. It also has deep sidewalls lined with an extended layer of energy-absorbing foam and it includes body support and removable preemie insert. The Infant car seat is designed for rear-facing use only, for an infant from 4-35 lbs and up to 35″ tall. The infant car seat is extremely easy to attach to the Baby Stroller. All you do is place it right into the stroller and you know it’s attached properlly because it will make a click sound. What I noticed that I didn’t like was that the canopy does not attach to the stroller frame, I was hoping for extra protection away from the baby when using the infant car seat on the frame. Also, there is no cup holder/tray for toddlers to put their cup or toys. There is also no parent organizer. Overall for the price of the Urbini Omni 3-in-1 Travel System Stroller you get some pretty amazing features and a great travel system. This literally is the stroller you need from birth until your toddler doesn’t want to be in a stroller anymore! 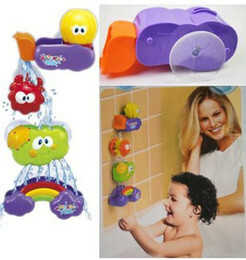 Urbini products are sold exclusively at Walmart stores and Walmart.com. You can find Urbini on Facebook and Twitter. It looks nice, but major disadvantage with no cup holders! Gosh I really love that bassinet! What a great travel system! I would really love a parent organizer though, although I could just buy one that attaches. Love the modern look and features! Gorgeous travel system. What a great stroller! You will love having a Pram! I loved mine when Sawyer was little! That’s a great stroller and travel system! A must have for new baby! I really love a pram type/bassinet for a stroller. Little babies are so comfy and rest so beautifully while you can be out and about. such a lot of bang for your buck! This looks so awesome and versatile. Now that I’ve owned a stroller with a reversible seat, I would not have anything else. I love the bassinet option too. It’s too bad there’s no cupholder! This stroller is amazing! Love how it moves, the basket for extra storage and the handle bar! Wow this is really nice. I love it in black. I have never seen a stroller with a built-in bassinet option, love it! I love it. I’ve never had one like this before. Stroller was shipped and bent in which walmart wouldnt take it back so the wheels are a struggle to push. Makes it very hard to use. Has anyone else had this problem?? ?